I am dealing with a L70 right now that goes into protection as soon as main relay activates, checked all output transistors, no shorts, main voltages OK as well, any idea what could be triggering protection circuit? 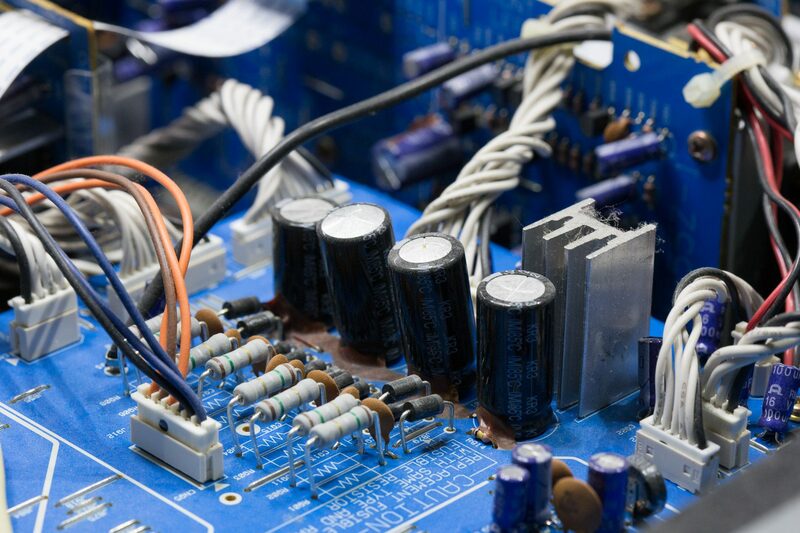 The protection circuitry will act upon a certain amount of DC on the amplifier output. I’ve seen cases where only one of the transistor pairs are driven to full open and cause high voltage to the output. Another thing I’ve seen a lot is where the DC offset is to high and also causes the DC-protection to kick in. In the first scenario you need to check if one or more driver transistors are defect or if there is something else that causes this. It would require schematics of the amplifier and sophisticated knowledge in trouble shooting. If it’s a DC-offset problem you have to see where that is coming from and what channel has a high offset (2 volts or more could trigger it). This can easily be done with a multimeter on the different output channels, before the relay. Good luck fixing your L70! I’ve noticed you replaced the elco’s on the NAD L70 with a wider type. My question is: which diameter were the original elco’s and which diameter were the replacement elco’s? Isn’t it dangerous to place them so close together? I have the same problem with my NAD L70 and I want to replace the Elco’s like you did. Elco-repairing virgin though so cross your fingers ;-). I’ve already sold the L70 a while ago, so I can’t measure the size of the capacitors for you. As long as the size fits, there is no problem soldering in a new electrolytic capacitor that is larger in size. 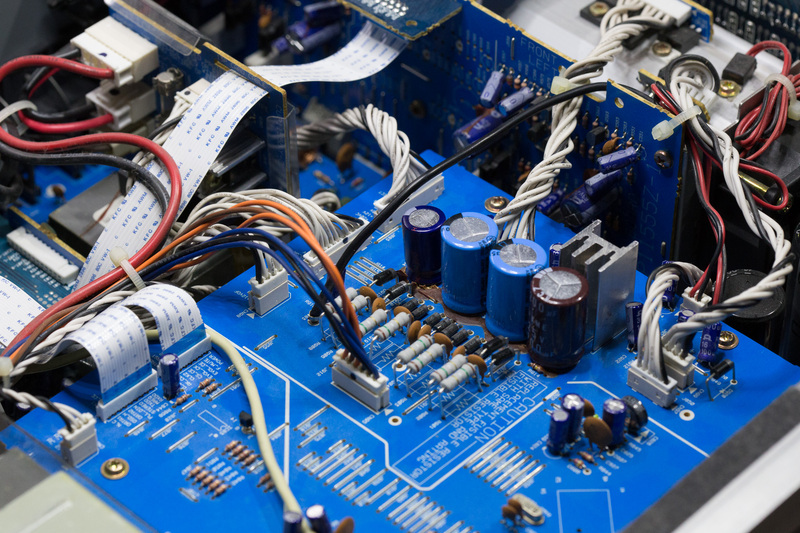 Just keep in mind that you should preferably install a replacement that is similar in capacity and the same voltage or higher and suitable for the same purpose as the old one. 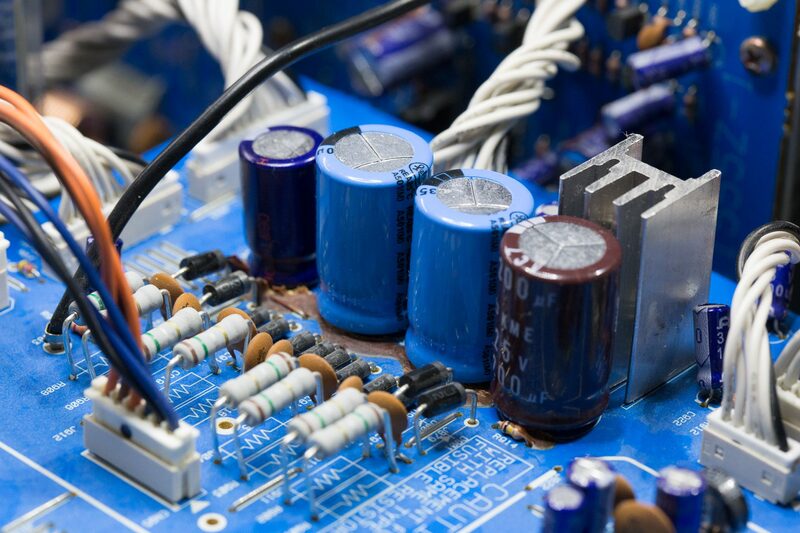 Higher voltage capacitors are always larger in size, that wouldn’t harm if the size will fit. In this L70 I probably installed a 105 degrees Celsius type capacitor whereas the old one could have been an 85c type. That could be the difference in size. 105c electrolytic capacitors have a longer lifetime than 85c types because the lifetime highly depends on the environment temperature. In situations where environment temperature could become higher than standard room temperature, I prefer to use 105c capacitors. They just last much longer. Higher quality capacitors could also be larger in size. If the height is limited you could place the capacitor flat, but that is not the case in the NAD L70. 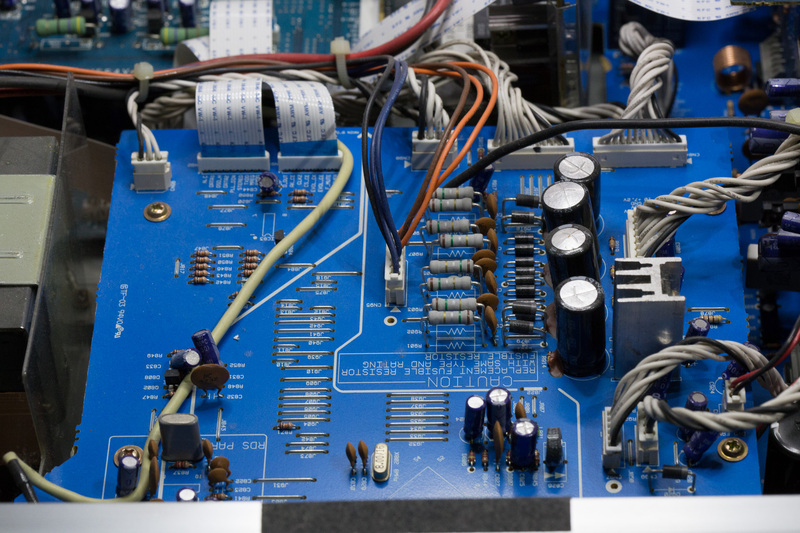 Capacitors usually don’t need space as long as the outer case is not connected to one of the leads. That’s only true for older 4-pin electrolytic capacitors with 3 negative mounting pins and one center positive pin or axial type capacitors (and probably a few other special types). Okay! I see 3 x 25V en 1 x 16V in there (the smaller cap). I have here 4 x 35V, 2200uF 105C replacements (diameter=16mm) and I understand that won’t be a problem at all. Crystal clear. Thank you for the expert answer. Bedankt. If they are all 2200uF, then installing all 35v versions is perfectly fine from a electical standpoint. If they fit in the space there is, then there is also no problem to do so. Mark, witch laserunit did you order? Thanx in advance for your answer!! I don’t know the exact type, but on eBay and AliExpress they have them listed as ‘NEW OPTICAL LASER LENS PICKUP for NAD L-70 Player’. I’ve ordered two from AliExpress in the past. PS: Remember that you will probably need a soldering iron to remove one or two antistatic short circuit solder drops after installation. Otherwise the laser unit will definately not work.